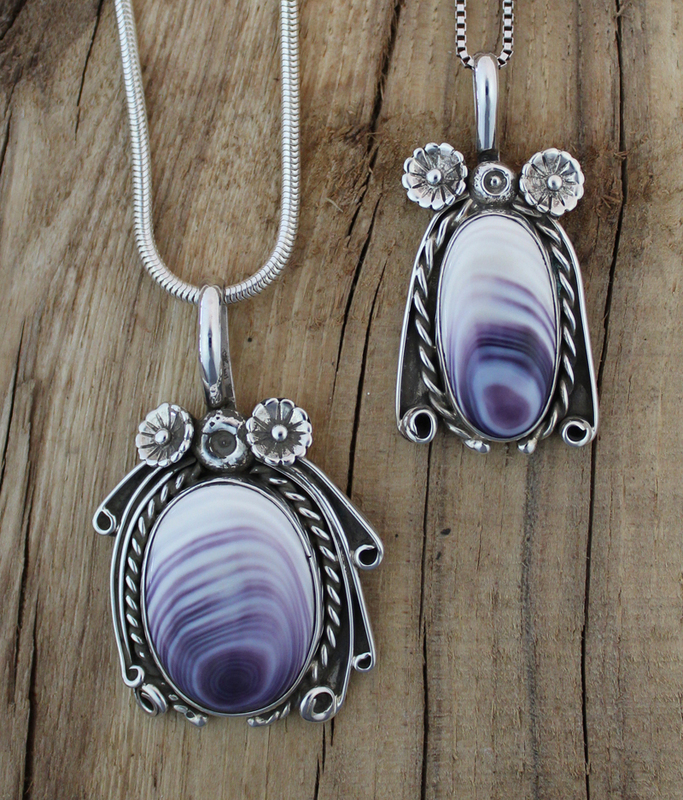 Set in a 'twisted rope' Sterling Silver Design with a flowery flow. 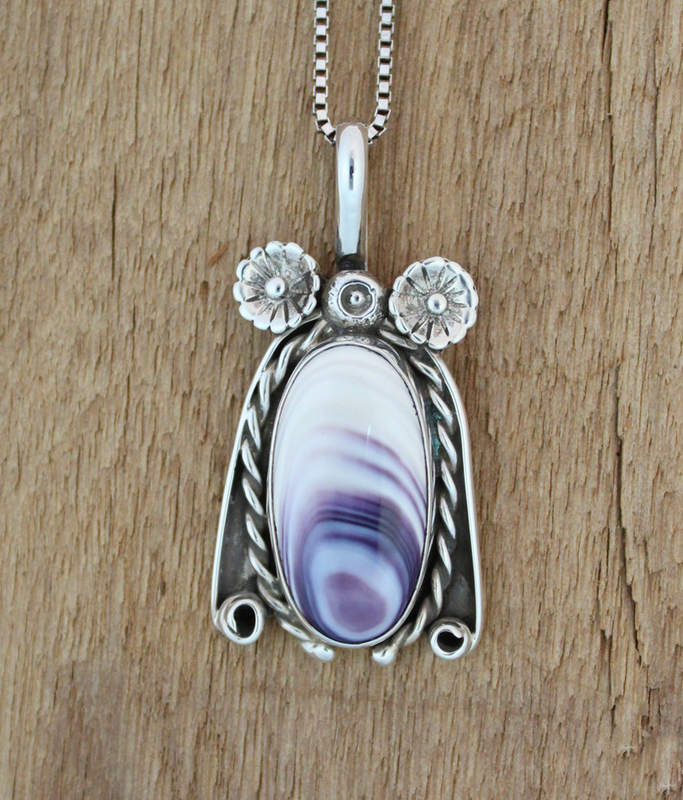 This handcut Wampum Pendant by Cherokee Silversmith General B. Grant is a true showmanship of craftsmanship.